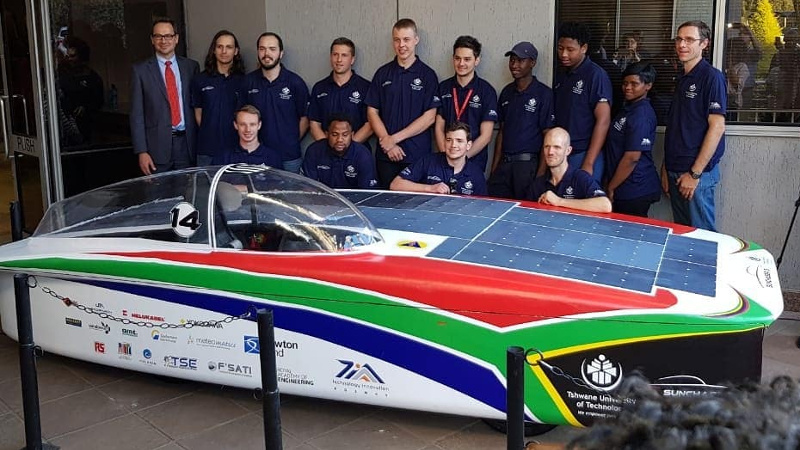 The 9 teams listed below (from 5 countries) will participate in the Sasol Solar Challenge in South Africa during 22–30 September. Scrutineering began on 17 September, with dynamic qualification on the 19th (a 400 m slalom), pre-race briefings on the 20th, and a display day on the 21st. 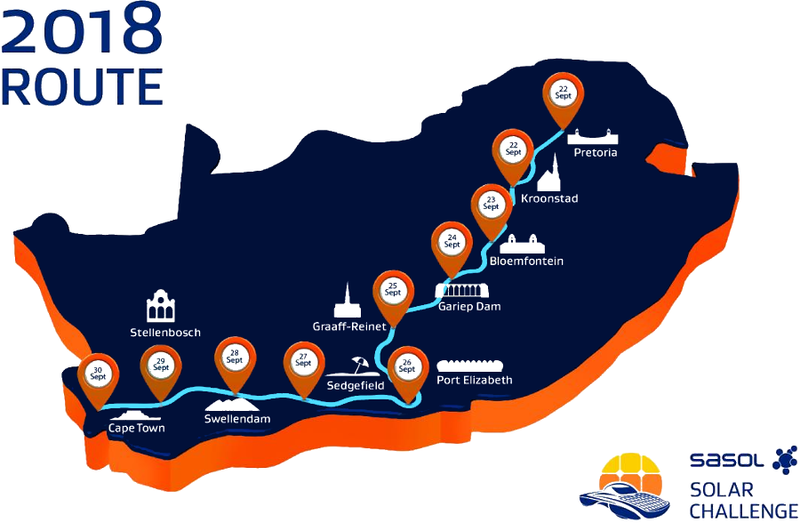 The race itself starts at Time Square, Pretoria, on the 22nd. Regulations are here. Silicon solar panel limits are 4 m2 for Challengers, and 5 m2 for Cruisers, as at WSC 2017. The route is shown below (click to zoom). See also the official race social media at (click on the symbols) and the online tracker. 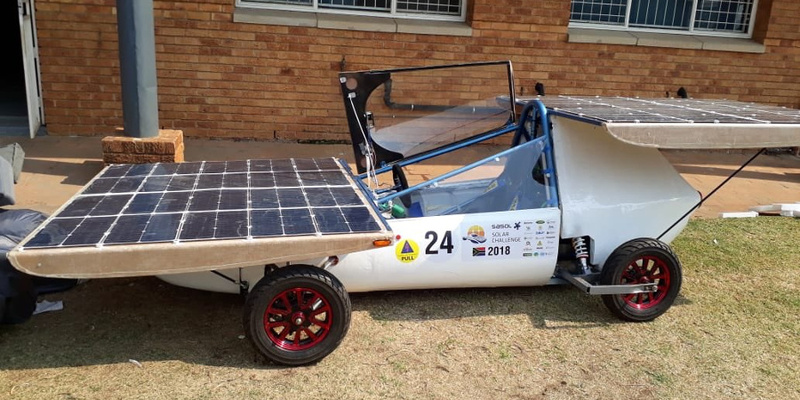 This team have been building solar cars for a few years, apparently. 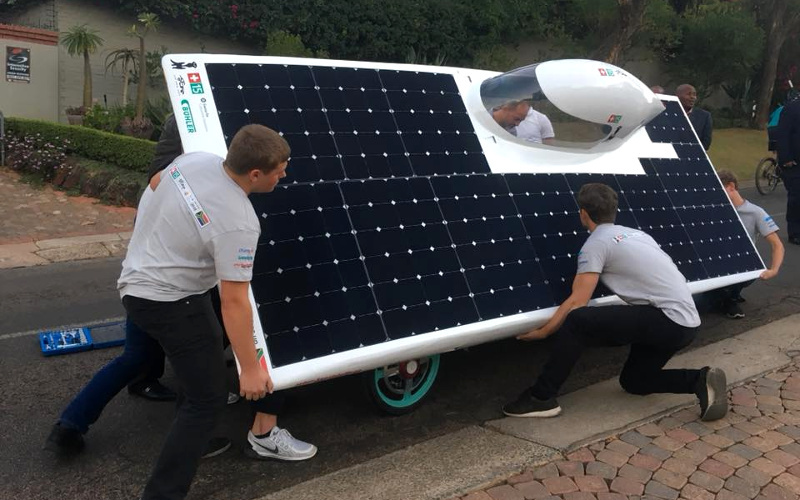 They call their car a “solar-electric hybrid.” They sent it by air freight, and flew out to join it. Their car is called Reysol. The car arrived a little late, however. They will race in the Adventure class. This team came 2nd at WSC 2013. They came 3rd at WSC 2015. They came 4th at WSC 2017. 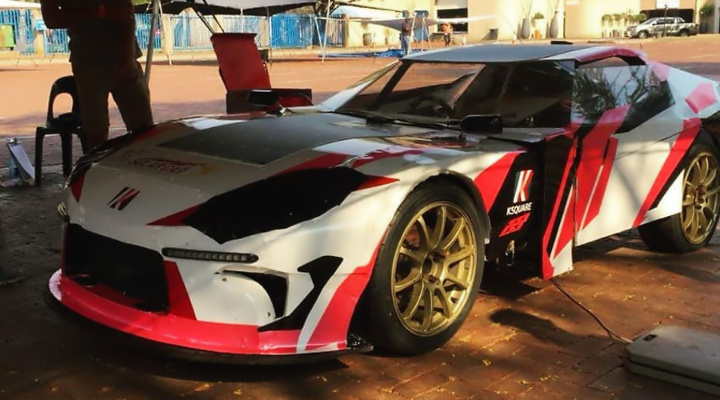 They came 7th at Abu Dhabi 2015. They came 2nd at SASOL 2016. Their car is called Tokai Challenger. 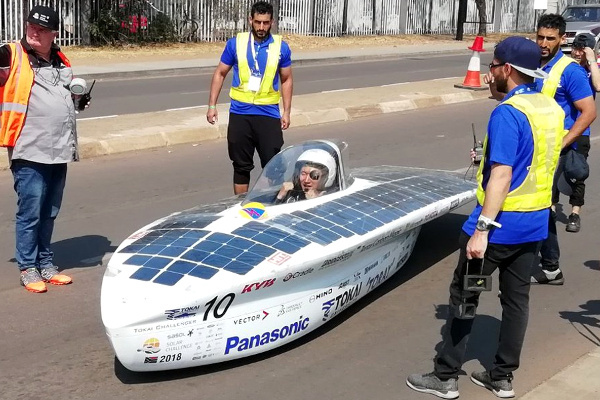 They have been road-testing their car. I rank them currently the #5 Challenger in the world. They are starting in position #1, after driving a time of 7.1 s in the slalom. This team came 1st at WSC 2013. They came 1st at WSC 2015. They came 1st at WSC 2017. 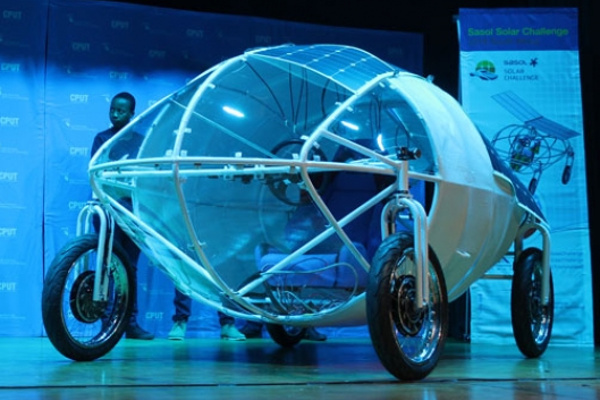 They came 1st at SASOL 2016. In June 2017 they set a world record, clocking up 882 km in a 12-hour track session. Their car is called Nuna9S. This is their WSC 17 car modified to have radar and intelligent cruise control as well as a new lion wrap. The team flew out on August 23, planning to drive the race route in reverse. Their team number (3) is a long-standing tradition. I rank them currently the #1 Challenger in the world. They are starting in position #3, after driving a time of 8.0 s in the slalom. This team came 5th at WSC 2013. They came 11th at Abu Dhabi 2015. They came 2nd at ASC 2016. They came 8th at ESC 2016. Their car is called SER-3. They have arrived in South Africa. I rank them currently the #18 Challenger in the world. This team came 11th at WSC 2015. They participated in WSC 2017. They came 4th at SASOL 2016. Their car is called Phoenix. They have rebuilt this car since WSC 2017. I rank them currently the #12 Challenger in the world. They are starting in position #2 after the slalom. This team came 6th at SASOL 2016. 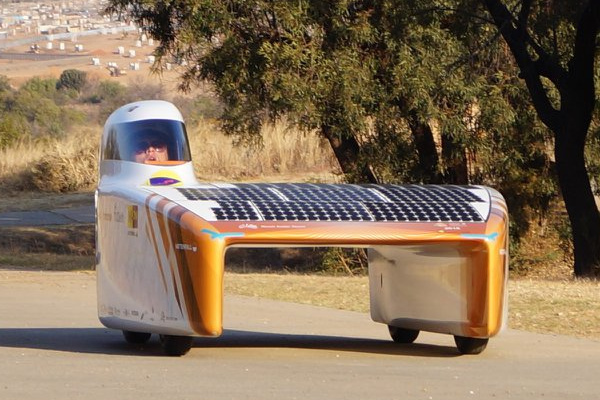 Their car is called Sun Chaser 3. They have been busy with construction and have revealed their car, which looks great. This is a new local team, a combined team from St Alban’s College and St Augustine’s LEAP School. Their car is called Siyakude. Construction seems to have gone well. This is a new local team. 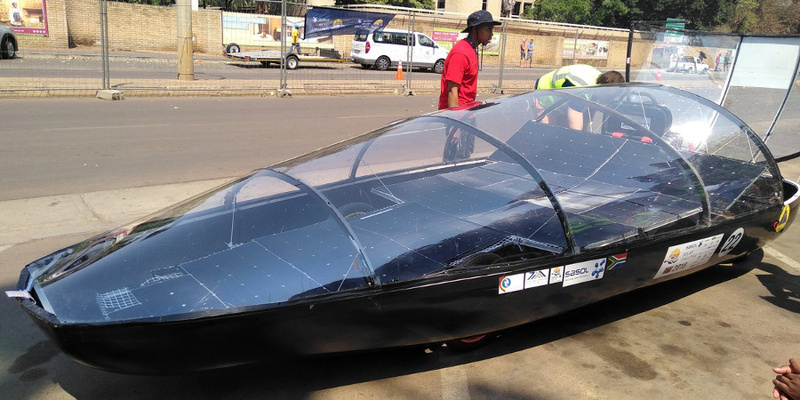 Their car has solar panels inside a transparent canopy, a little like past Cambridge cars. Their car is called Pere ea Letsatsi. This new local team is a late entry. 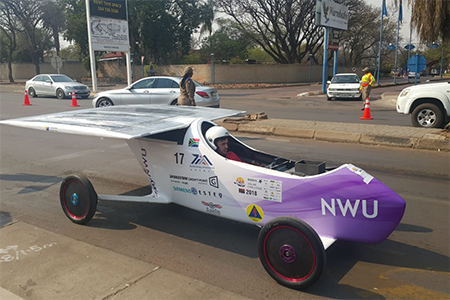 Their car is called CPUT Solar Flyer. They have revealed their unusual car. They have some minor fixes to do after scrutineering.